Extra High back Executive chair. Knee tilt 3 position lock with Gas lift and rocker box. 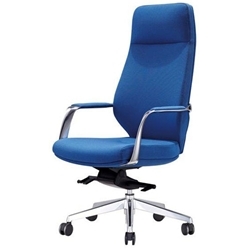 Medium back Boardroom chair and Cantilever Visitors also available. Back Height: 740mm from top of seat.